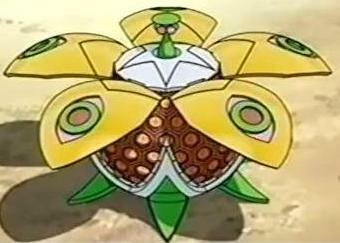 Rafflesian is a flower-like Bakugan. Apparently, Rafflesian's name originates from a similar looking flower, called the Rafflesia. In ball form, it has several petals that make a circle around it's body. Its feet resemble that of Farakspin and petals resemble Volt Elezoid in ball form. A Haos Rafflesian was used by Baron in episode three of Bakugan: New Vestroia. A Subterra Rafflesian was used by an unknown brawler in the Alpha City tournament. Purchase your Rafflesian Bakugan from Amazon now!